Six outstanding crime novels from Denmark, Finland and Sweden have made the shortlist for the 2018 Petrona Award for the Best Scandinavian Crime Novel of the Year, which is announced today. The winning title will be announced at the Gala Dinner on 19 May during the annual international crime fiction convention CrimeFest, held in Bristol on 17-20 May 2018. The winning author and the translator of the winning title will both receive a cash prize, and the winning author will receive a full pass to and a guaranteed panel at CrimeFest 2019. The Petrona Award is open to crime fiction in translation, either written by a Scandinavian author or set in Scandinavia, and published in the UK in the previous calendar year. The Petrona team would like to thank our sponsor, David Hicks, for his continued generous support of the Petrona Award. There were 61 entries for the 2018 Petrona Award from six countries (Denmark, Finland, France, Iceland, Norway, Sweden). The novels were translated by 33 translators and submitted by 31 publishers/imprints. There were 27 female and 33 male authors, and one brother-sister writing duo. This year’s Petrona Award shortlist sees Sweden strongly represented with four novels; Denmark and Finland each have one. The crime genres represented include a police procedural, a courtroom drama, a comic crime novel and three crime novels/thrillers with a strong psychological dimension. As ever, the Petrona Award judges faced a difficult but enjoyable decision-making process when they met to draw up the shortlist. The six novels selected by the judges stand out for the quality of their writing, their characterisation and their plotting. They are original and inventive, and shine a light on highly complex subjects such as Post-traumatic Stress Disorder, school shootings, and life on the margins of society. A key theme that emerged across all of the shortlisted works was that of family: the physical and psychological challenges of parenting; the pressures exerted by family traditions or expectations; sibling rivalries; inter­generational tensions and bonds; family loyalty… and betrayal. We are extremely grateful to the translators whose expertise and skill allows readers to access these gems of Scandinavian crime fiction, and to the publishers who continue to champion and support translated fiction. 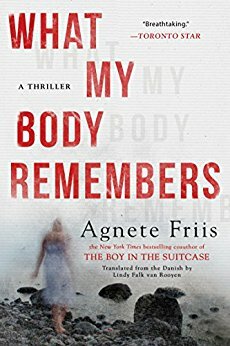 Her ‘Nina Borg’ novels, co-written with Lene Kaaberbøl, have a dedicated following, but this first solo outing by Danish author Agnete Friis is a singular achievement in every sense. Ella Nygaard was a child when her mother was killed by her father. Did the seven-year-old witness the crime? She can’t remember, but her body does, manifesting physical symptoms that may double as clues. Ella’s complex character is superbly realised – traumatised yet tough, she struggles to keep her son Alex out of care while dealing with the fallout from her past. 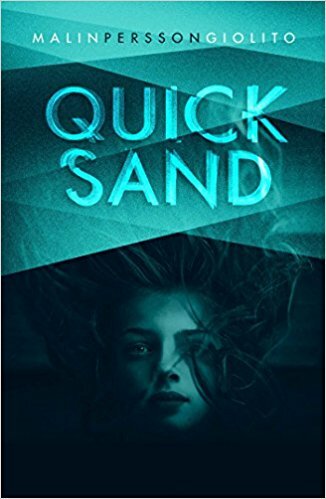 In this compelling and timely novel, eighteen-year-old Maja Norberg is on trial for her part in a school shooting which saw her boyfriend, best friend, teacher and other classmates killed. We follow the events leading up to the murders and the trial through Maja’s eyes, including her reaction to her legal team’s defence. Lawyer-turned-writer Malin Persson Giolito successfully pulls the reader into the story, but provides no easy answers to the motives behind the killings. Gripping and thought-provoking, the novel offers an insightful analysis of family and class dynamics. 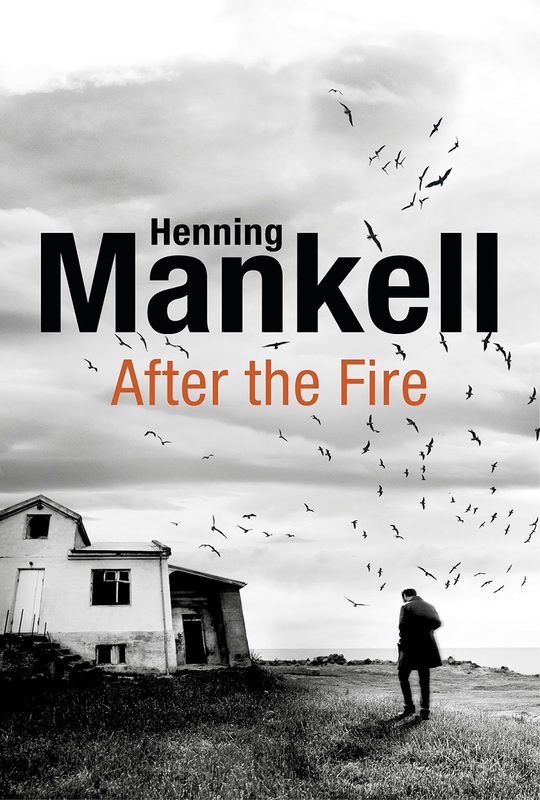 Henning Mankell’s final novel sees the return of Fredrik Welin from 2010's Italian Shoes. Living in splendid isolation on an island in a Swedish archipelago, Welin wakes up one night to find his house on fire and soon finds himself suspected of arson by the authorities. While there’s a crime at the heart of this novel, the story also addresses universal themes of loss, fragile family ties, difficult friendships, ageing and mortality. The occasionally bleak outlook is tempered by an acceptance of the vulnerability of human relationships and by the natural beauty of the novel’s coastal setting. 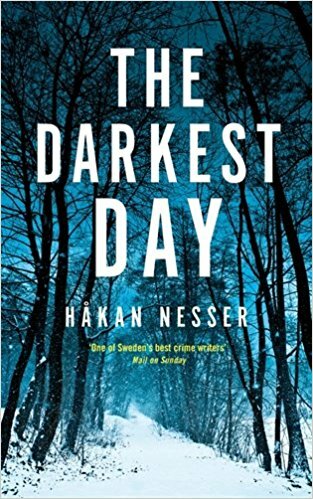 Many readers are familiar with the ‘Van Veeteren’ detective stories of Håkan Nesser, but his second series, featuring Swedish-Italian Detective Inspector Gunnar Barbarotti, is only now beginning to be translated. An engaging figure who navigates his post-divorce mid-life crisis by opening a witty dialogue with God, Barbarotti is asked to investigate the disappearance of two members of the Hermansson family following a birthday celebration. The novel’s multiple narrative perspectives and unhurried exploration of family dynamics make for a highly satisfying read. 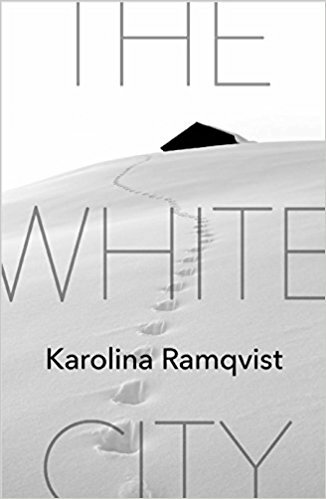 Karolina Ramqvist’s novella focuses on an often marginalised figure: the wife left stranded by her gangster husband when things go wrong. Karin’s wealthy, high-flying life is over. All that’s left are a once grand house, financial difficulties, government agencies closing in, and a baby she never wanted to have. This raw and compelling portrait of a woman at rock bottom uses the sometimes brutal physical realities of motherhood to depict a life out of control, and persuasively communicates Karin’s despair and her faltering attempts to reclaim her life. 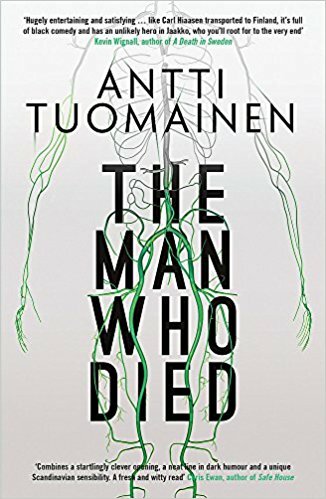 The grim starting point of Antti Tuomainen’s novel – a man finding out that he has been systematically poisoned and his death is just a matter of time – develops into an assured crime caper brimming with wry black humour. Finnish mushroom exporter Jaakko Kaunismaa quickly discovers that there’s a worryingly long list of suspects, and sets about investigating his own murder with admirable pluck and determination. The novel’s heroes and anti-heroes are engagingly imperfect, and Jaakko’s first-person narration is stylishly pulled off. The shortlist for the 2018 Award is to be announced on 30 April 2018. Picture Window theme. Theme images by micheldenijs. Powered by Blogger.